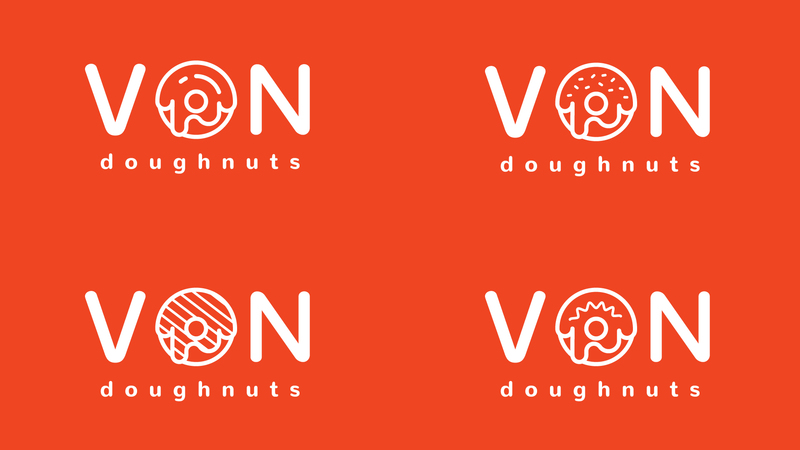 VON doughnuts is a gourmet doughnut shop in East York, Toronto specialising in fresh from scratch doughnuts made daily. I’ve reworked their current branding into a set of spec logos that represents my interpretation of their design identity. I stayed true to their current design and wanted to create a more modern and updated look versus a complete rebrand. Although their current design is perfectly fine, what was likely intended to be a creative juxtaposition of bold, blocky letters against a swirly doughnut-like ‘O’ came off as dissonant in my interpretation. I wanted to create a consistently round design that screamed ‘doughnut!’ all throughout. 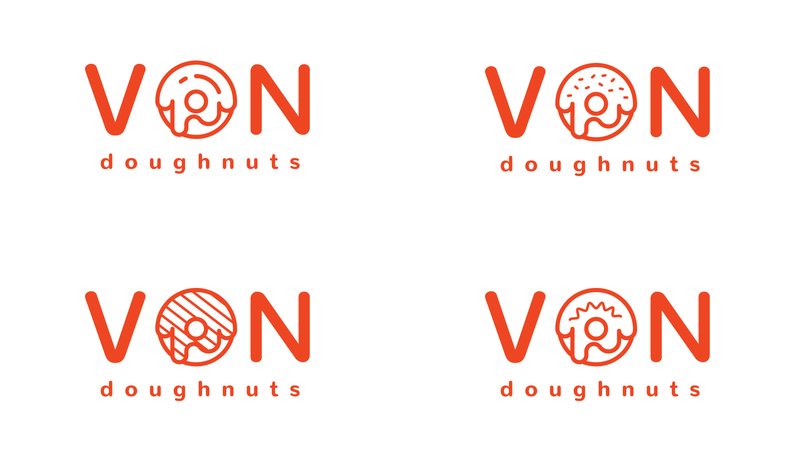 I played with the concept of a doughnut for the ‘O’ and created four different styles of doughnuts to interchange through the design to match the wide array of rotating flavours and types of doughnuts VON Doughnuts has to offer.